Funerals costs add up. In Australia, the average cost of a traditional burial is $19,000, and the average cost of a cremation is $7,420. 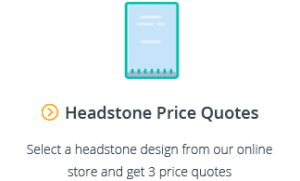 While there are cheaper funeral options – a direct cremation starts at around $1,950 in most states – and there are simple ways to save on the cost of a funeral, many of us will still need some type of assistance to cover the cost of the funeral we want to plan for our loved one. Depending on your circumstances, there are different sources of funds and assistance programs that may be available to help you pay for a funeral. If your loved one has superannuation, the super fund will pay out the balance and any life insurance to their dependents or estate upon their passing. This money can be used to pay for a funeral, and is one of the most common ways families cover the relevant costs. 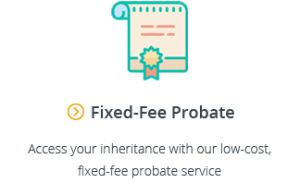 However, it usually takes some time for these amounts to be paid out (possibly months), so you may initially have to pay the cost of the funeral and be reimbursed for these amounts once probate is granted. Note: Anyone who covers funeral costs with the intention of being reimbursed by the estate should keep a copy of all invoices and receipts so that there are no disagreements later on. If your loved one has a terminal illness or is in a critical condition, you may be able access their super funds early to cover funeral expenses as they arise. Alternatively, you may be able to access your own super funds early to pay for funeral expenses. Contact your super fund directly to find out about your options. Note: Accessing superannuation early can have financial consequences, like increased tax and/or lower Centrelink payments, so you should consult an independent financial advisor before you apply for early release of super. For more information see Using Superannuation to Pay for a Funeral. Depending on your circumstances, you may be eligible for government assistance with funeral costs. The Bereavement Allowance is a short-term periodic payment designed to help you transition after your partner’s death. It must be claimed within 14 weeks of your partner’s death, and pays a maximum of $808.30 per fortnight for 7 cycles. When one of a pensioner couple dies – the surviving partner is entitled to a benefit of up to 7 payments of the amount their partner would have received before they passed away. When a single pensioner dies – a payment is made into their bank account equivalent to the fortnightly payment they would have received in that period. The Widow Allowance is available to women over 40 with no recent workforce experience who were born before 1 July 1955. Its purpose is to ensure that women have sufficient income after they become widowed, and pays a maximum of $579.30 per fortnight. The Pension Bonus Bereavement Payment is a government payment to the partner of a member of the Pension Bonus Scheme who didn’t make a claim for the bonus before their passing. The amount of the payment depends on how many bonus periods they accrued, with a maximum rate of $38,383 for 5 bonus year periods. If you are the spouse, dependant or carer of a deceased person who was receiving a pension from the Department of Veterans Affairs you may be eligible for a bereavement payment. The exact funeral benefit depends on whether their service is covered by the Veterans’ Entitlements Act 1986 or the Military Rehabilitation and Compensation Act 2004. Typically, the benefit is a one off payment up to $2,000. There is no bereavement payment for those with service under the Safety, Rehabilitation and Compensation Act 1988. If your loved one was a veteran and you think you may be eligible, you must notify the DVA as soon as possible after the death. In addition to the financial benefits described above, the government is also able to provide a range of non-financial services to support and assist families leading up to and following the death of a loved one, including social work services (such as counselling and support) and assistance regarding financial decisions. For more information on government assistance and your eligibility, visit the Department of Human Services’ website. NSW offers destitute funerals to those who are unable to pay for the cost of a funeral, and whose friends and relatives are also unable to help with the funeral costs. The service will be a basic cremation unless a burial is requested by the deceased’s next of kin. If you are indigenous and a member of the Funeral Fund established by the NSW Aboriginal Land Council in 1991 (and closed in 1994) you are entitled to a funeral grant of up to $5,000, provided you have paid your membership fees. If you are not a member of the Funeral Fund, you are still able to apply for a NSW Aboriginal Land Council grant of up to $1,000 to help you pay for your funeral. While not an official scheme, Victoria has established a not-for-profit funeral director, Bereavement Assistance Funerals, which provides low cost funerals to residents who have limited or no funds. In Queensland, if you are unable to pay for a funeral, you may be able to get funeral assistance by applying to the Queensland Magistrates Court or the Coroners Court of Queensland. To be eligible you must have confirmed that no other family members are able to pay for the funeral. It’s important to note that if you have made a payment to a funeral director, you will be disqualified from assistance (although you may be able to get written approval from the funeral director to release you from the contract and re-apply). If you do receive funeral assistance from the Queensland Government, the Coroners Court will place a hold on the deceased’s bank account and try to recover money from their estate at a later date. South Australian residents who are not able to pay the costs for a funeral and have exhausted all other options may be eligible to arrange a funeral through FuneralAssistanceSA. The funeral provided is typically a low cost cremation, although if a burial is required this can be arranged if the family are able to pay the additional cost. This scheme is generally only available to low income individuals whose estate is valued at less than $3,000 and whose immediate relatives also have less than $3,000 in accessible funds. The Bereavement Assistance Program in Western Australia provides assistance to WA residents who aren’t able to pay for the cost of a funeral. Similar to other state programs that help with funeral costs, applicants must also show that family are not able to meet the costs. The information sheet specifically provides that if the deceased’s children have full time jobs the funeral assistance is likely to be denied. Even where a family is successful for a funeral assistance package, they will still be asked to make a contribution – usually around 50% of the funeral costs. A final option to explore when seeking help with funeral costs is from trade unions and social clubs (such as Rotary and the RSL). Depending on the circumstances, they may be able to donate money towards the cost of a member’s funeral. To find out whether any help is available from clubs and unions, make a list of all the organisations where the deceased was a member ask them if they have a fund set aside for assistance with member funeral costs. If a club doesn’t have an official fund set up, explain your circumstances and they may be willing to help you set up a small fundraiser to assist with the funeral costs. Hopefully you’re able to find some organisations that can help you with funeral costs from the options above. If not, you might consider applying for a funeral loan – though it should be noted that taking on debt to pay for expenses that you cannot afford can be quite risky. Even if you’re provided with financial assistance for funeral costs, you’ll still need to find a funeral director. 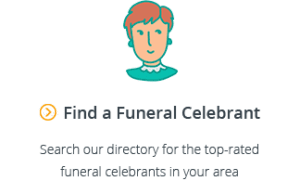 Gathered Here lets you instantly compare the over 690+ funeral homes across Australia. 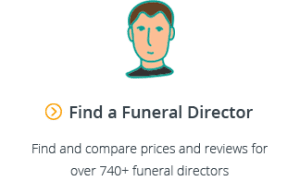 When searching for a funeral director, it’s important to consider not only the price but their service quality as well, so be sure to look into their customer reviews.